My daughter has always been a competitor and never backed off a challenge, whether sports, work or school. She took her drivers license road test on her 16th birthday, even though we tried to dissuade her from the chance to ruin her birthday celebration. She wouldn’t hear it and then promptly aced the test. Now she’s facing one her toughest challenges, teaching children they do have a future, to believe in themselves and success can come with collaboration. It’s a beautiful thing that is happening at the Evergreen School District in the city of San Jose, California and they have nothing to do with silicon chips or apps. 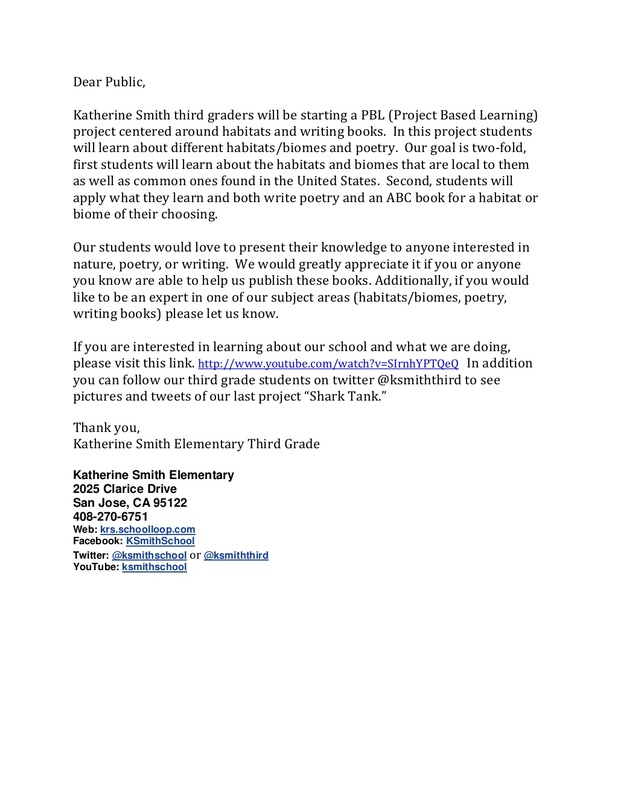 Katherine R. Smith School is preparing 3rd graders for the future by teaching entrepreneurialism. Why not, small businesses provide 55% of all jobs and 66% of all net new jobs since the 1970s. Last year, 340 of every 100,000 adults launched a business each month, creating 565,000 startups monthly. As our society and the job market continually changes, forward thinking educators find ways for their students to succeed in that new world, so instead of just spoon feeding them bits of information alone, they are preparing them by showing how to think, form a plan, take ownership and present their ideas. By allowing them the opportunity to think of ideas that can be executed and achieved to build their confidence and entrepreneurial spirit you are creating thinkers, problem solvers, leaders and entrepreneurs that can discuss and resolve an issue. How cool is that? The great thing, is you too can be part of this experience. Your knowledge, your skills and talents can help shape the future. Read the letter to the public below and if you have the time, be part of it. It’s been very rewarding for me.